OperaCoPro Website is a B2B marketplace website for Production Companies. 1. 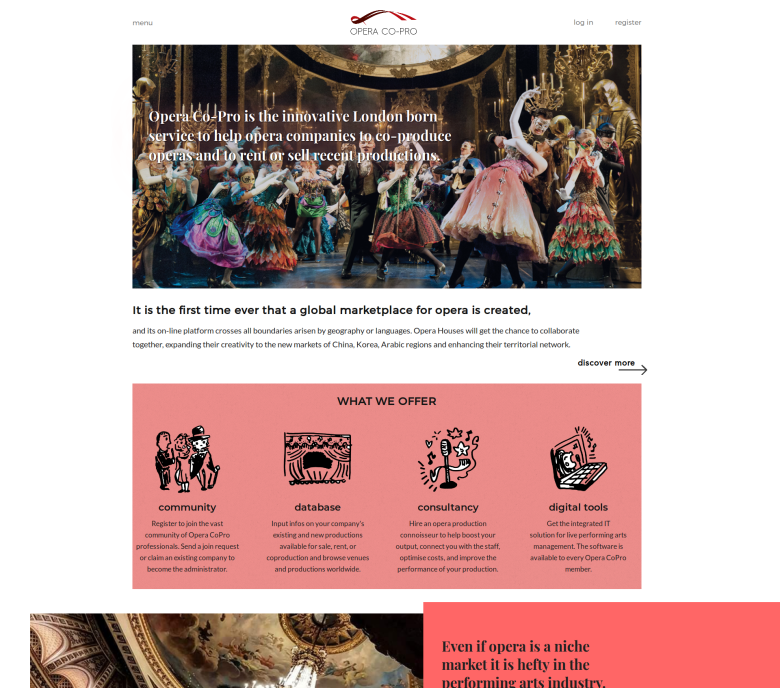 It is a marketplace where Opera companies buy/sell and rent productions or launch co-production projects for future projects to find partners to share the production costs. 2. Opera companies can buy/sell/rent or co-produce and they can upload venues. 3. There are "own" venues, that are "owned" by a company, or "temporary" venues, where the company stages a project only for a limited time. The "temporary" venue can be owned by a different company.